Ahead 24-19 in the third set of its last Big West Conference game of the year against Cal Poly and having had its prior two kill attempts blocked, CSUN took a timeout to set up a definitive senior-to-senior game-winner. Setter Sam Orlandini lobbed it up. Outside hitter Una Siljegovic put it down, wrapping up a 3-0 win and an almost-perfect finale to the seniors’ Matador careers. The lob was Orlandini’s 45th assist of the night, which more than doubled Cal Poly’s leading assister’s total (20 by Sarah Cawrse). 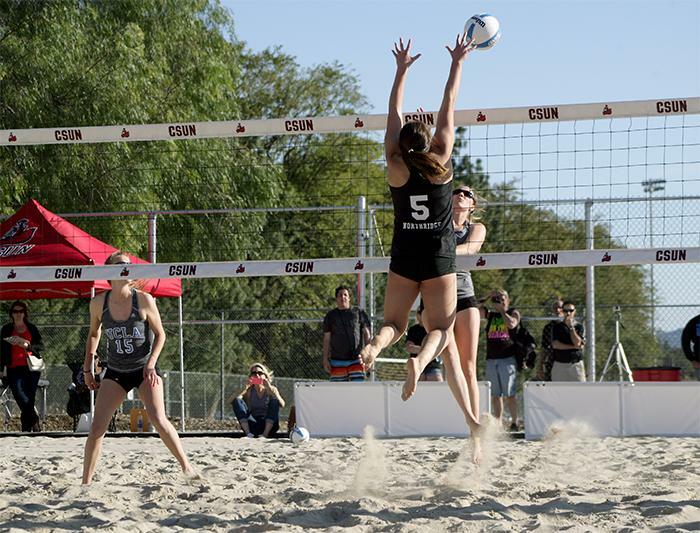 The Matadors (15-13, 9-7 Big West), who had lost a heartbreaker the night before to UC Santa Barbara, finished in third place behind champion Long Beach State and the Gauchos. It’s CSUN’s best season in seven years. 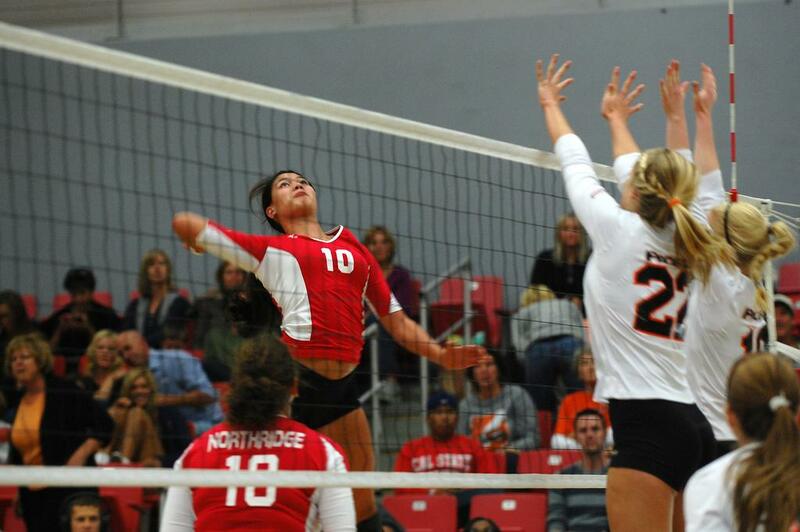 “Third place in this conference is a huge accomplishment,” said CSUN head coach Jeff Stork. From the very beginning, it was all Matadors on ceaseless attack mode. With Orlandini and Siljegovic starting in place of regulars Sydney Gedryn and Britney Graff respectively, CSUN came out firing and scored the first six points of the match as the astounded Mustangs (12-17, 7-9) called for time. Cal Poly eventually settled down and drew within 17-15. Stork’s subsequent timeout was all CSUN needed, however, as the Matadors hit the Mustangs back with an 8-2 run to finish the frame with a 25-17 win. Cal Poly hit .290 in the set, but was outdone by Northridge’s .385. Hot as they were, the Matadors came out even hotter in the second set and dominated Cal Poly behind Siljegovic’s five kills and a team hitting of .406. CSUN used a 10-5 run to turn a one-point advantage into a 23-17 lead. 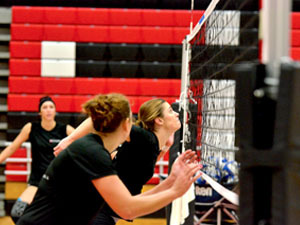 Haina also had five of her 11 game-total kills in the frame. 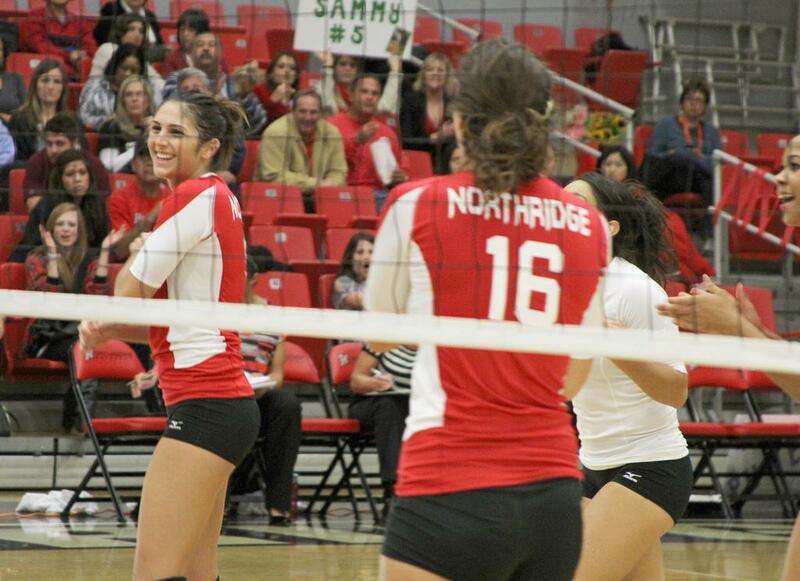 Her last finished off the Mustangs as the Matadors won 25-21 and took a 2-0 lead into intermission. CSUN looked impenetrable. CSUN continued to show its superiority in the final frame, and after a Siljegovic kill gave it a 24-16 lead, the team decided the last point of the match should be hers as well. Siljegovic got turned back twice, but came through on the third chance to finish up her and Orlandini’s memorable night. The vote of confidence paid off for most of night. Siljegovic got the most looks at the ball (33) and hit .212. The Matadors hit .328 for the night. 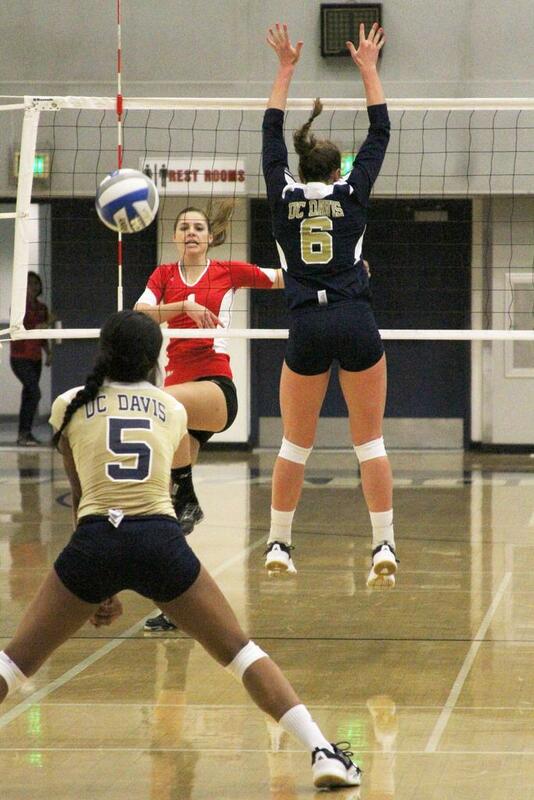 Cal Poly, which was led by Jennifer Keddy’s 16 kills, hit .252. Stork gave Orlandini a lot of the credit for his team’s offensive clicking. Despite the blasting of the Mustangs being dubbed as the farewell game for Orlandini and Siljegovic, CSUN still has one more non-conference home game left Friday against Air Force. Regardless of the outcome, the Matadors, who also got 11 kills from Natalie Allen, will have their best finish since the 2004 season.